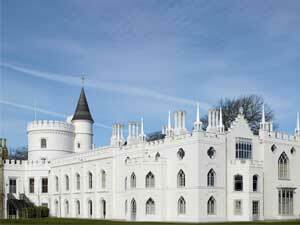 British flowers are having a resurgence and The Strawberry Hill Festival of Flowers is celebrating a new sustainable floristry by inviting florists and growers to create arrangements that reflect Horace Walpole’s ideas about design. His garden was naturalistic showing a love of flowers and scent and this exhibition will reflect Walpole’s ideas about visual impact; colour and the drama of light and dark, as well as using flowers grown in his eighteenth-century garden. Florists include Fiona Pickles of Firenza listed by The Telegraph as one of the Top 20 creative florists in the country and Creative Director for the 2018 Castle Howard Flower Festival, Claire Bowen of Honeysuckle and Hilda, floral designer, art historian and environmental campaigner, Brigitte Girling of Moss and Stone Floral Design, floral designer Leigh Chappell, visual story teller and designer Janne Ford and local flower farmer and floral designer, Sarah Whiting…all with sustainability at the heart of their practice.